Pre-filled and refillable pods for pod devices. 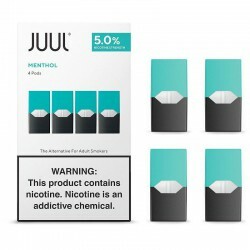 These typically use higher strength nicotine salts and higher PG (Propylene Glycol) concentrations for mouth-to-lung vaping and faster nicotine absorption. ZiiP Mango Pods are inimitable sweetness and fragrant, juicy flavor of fresh mango. ZiiP Cappuccino pods capture the rich, frothy taste of the popular coffee. Subtly sweet and full of coffee flavor. ZiiP Watermelon Pods are ideal for fans of a juicy fruit-flavored vape. ZiiP Strawberry Milk Pods deliver the sweetness of strawberry that blends seamlessly with rich, creamy milk notes for an irresistible dessert vape experience. ZiiP Mint Pods deliver a classic, refreshing vape that'll keep you feeling cool and fresh wherever you may be.